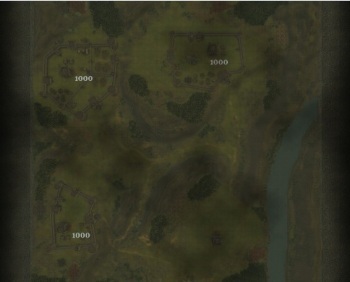 Skirmish type map has 2 version one easy and one hard. You play against The Pig: Earl Swinefoot, The Pig: Bishop Redham and The Wolf. I love the map layout here as well.. Its all good, its just too easy , even on hard, to smash the other castles.